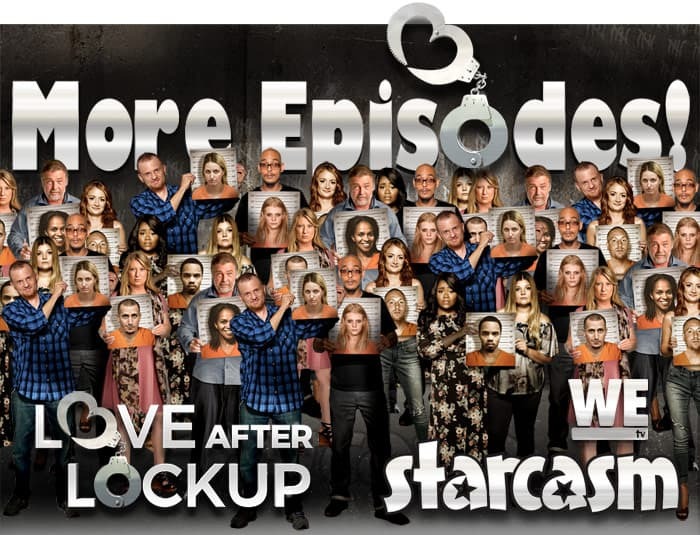 WE tv extends Love After Lockup Season 2 with 10 MORE EPISODES! For those viewers who simply cannot get enough of television’s “guiltiest pleasure,” WE tv has got some great news: the network has just announced that they have extended the second season of their popular prison romance reality series Love After Lockup with ten additional episodes! NEW YORK, NY, January 23, 2019 – WE tv’s breakout series Love After Lockup is a legitimate sensation, catching on with viewers and continuing remarkable audience growth from season one through to its current second season. The network announced today it will keep the cameras rolling and extend the 14-episode second season by an additional 10 episodes that will introduce new couples making the complicated transition to love on the “outside” when a partner one has only ever known behind bars is released from prison. The new episodes will appear on WE tv this spring. I’m a bit of a ratings junkie, and despite the show’s continued growth over the first two seasons, I’ve been a little disappointed in the numbers. As it turns out, that is apparently due to the show’s seemingly unfortunate time slot on Friday nights. As an example, last week’s episode brought in 795,000 viewers on Friday night. But, if you add in viewers who watched the show over the next three days (via DVR, reruns, etc. ), that number almost doubles to 1.3 million! Most reality show petitions seem silly to me, mostly because they tend to be attempts to remove the controversial cast members who are most responsible for people tuning in, but I really wish someone would start a petition to have WE tv move Love After Lockup to another night! It’s so much more fun on social media when everyone is tuning in at roughly the same time! Perhaps WE tv could make the change in time for the ten new episodes in the spring? Speaking of the ten new episodes in the spring, casting agents for Sharp Productions have continued to post casting calls for the current season over the past few months, so it could be that fans will see some new faces as well. That would make sense given that some of the current couples (most notably the love triangle between Sarah, Michael, and Megan) seem to have run their course. (In case you missed it, Michael is back behind bars. If these two ladies try to extend their love triangle story line any further, I just don’t think anyone is going to buy it.) That being said, Sarah reportedly hinted recently during an Instagram Live session that she is pregnant. I haven’t seen the clip myself, so I’m sure of the validity of the Instagram Live comment, not to mention a pregnancy. We have heard reports that Clint and Tracie were filming recently, which makes ALL THE SENSE IN THE WORLD because she was just released from County jail and producers can’t have much footage of them actually together. It’s very clear that Caitlin and Matt’s story hasn’t gotten any less crazy, as he has crashed her truck twice in addition to being arrested for possession of a stolen vehicle. Meanwhile, Marcelino and Brittany are still together as rumors of her having a child continue to swirl. 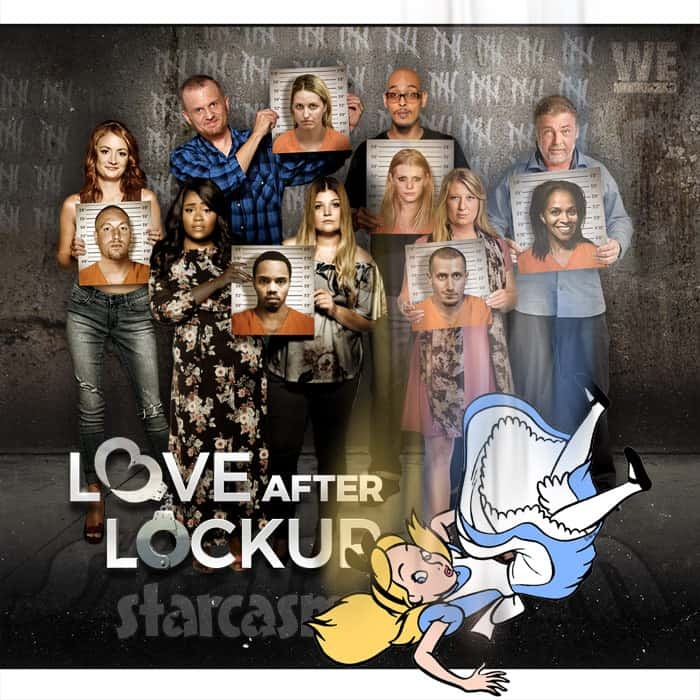 To catch up on our ridiculously extensive coverage of Season 2, be sure to check out our Love After Lockup “Starcasm Rabbit Hole” post, which serves as a Table of Contents for everything we’ve written so far.